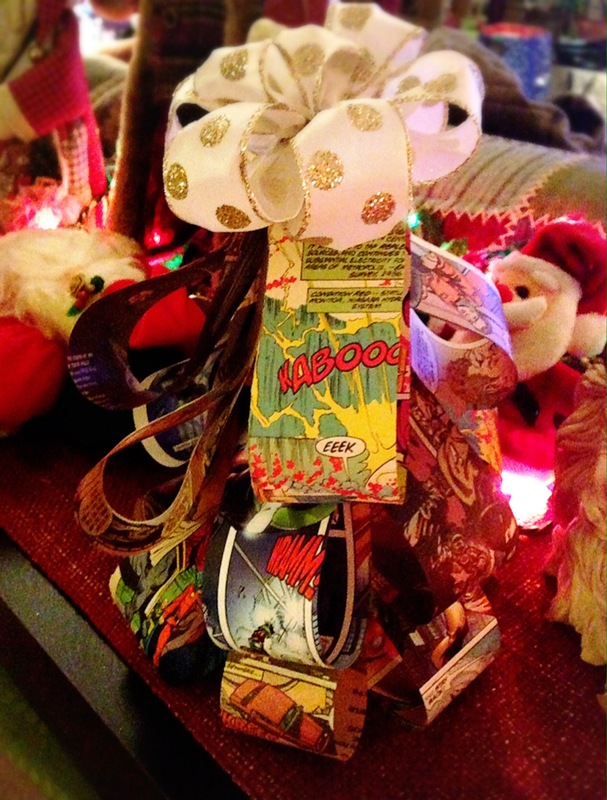 I love comics, and I love Christmas decor, so what happened when I mixed the two together? Pure magic, that’s what! 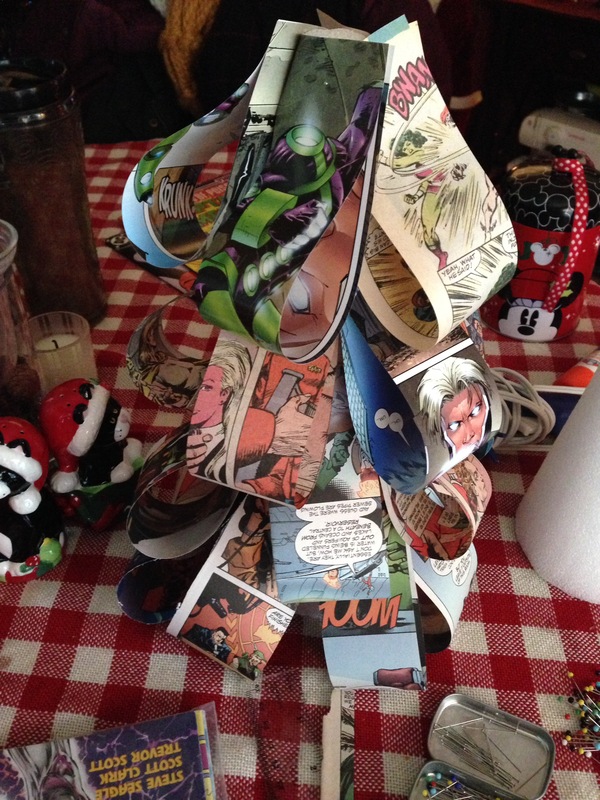 If you recall from last year, I took strips of comic book pages and created a fun, festive wreath. I took that same principle and used styrofoam cones instead of a round, flat base to create these decorative trees. The more I messed with it, the more I realized that I didn’t need any glue at all to create these. All I used were straight pins and wire to put these together. How easy is that? 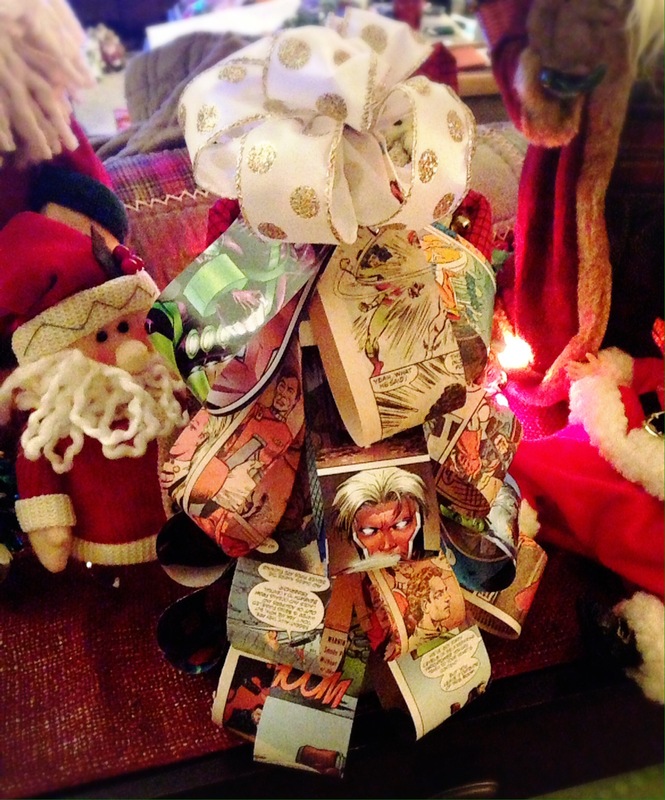 If you’re looking for a fun craft to do this week during your downtime, or you want some unique centerpieces for your holiday gatherings, then take a look at how I made these cute comic book Christmas trees! 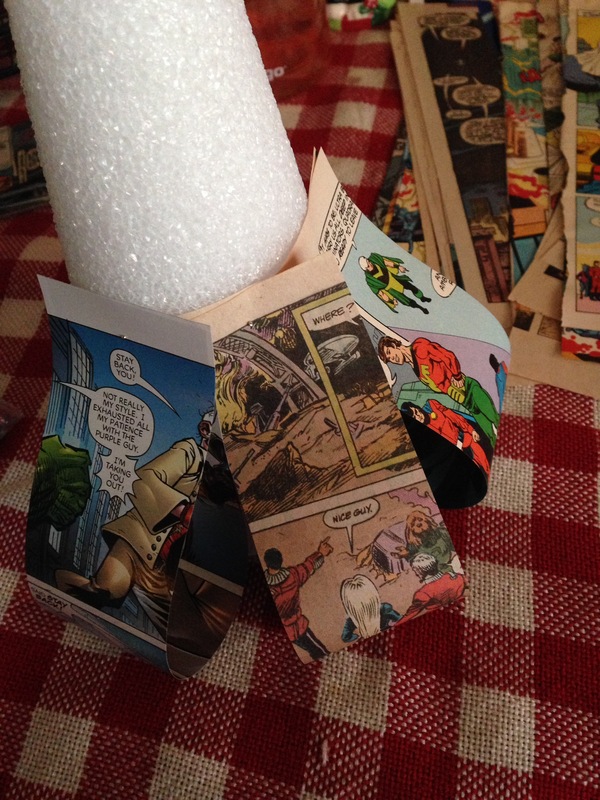 Taking your old comic books, find the pages with your favorite images. Rip the pages out as carefully as possible. 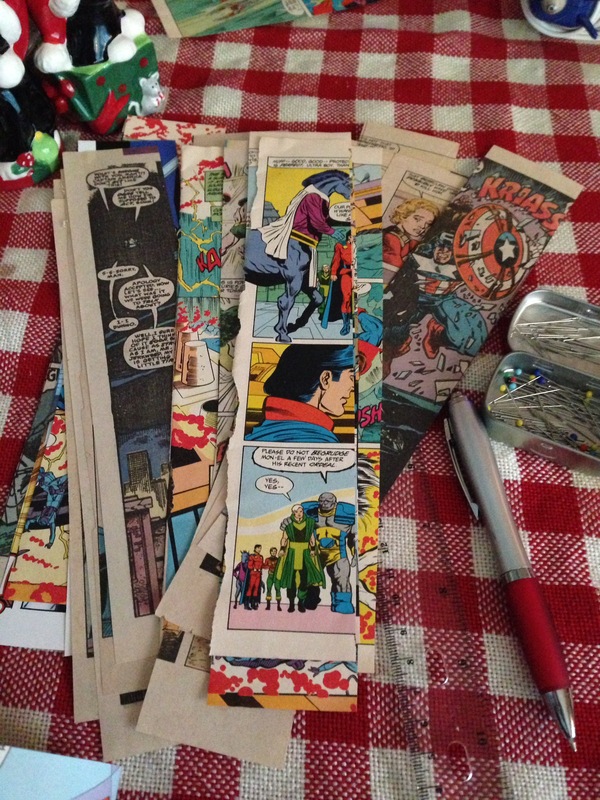 Cut the pages into 2″ strips. Pinch the two ends of the paper strips together, and pin in place using straight pins. Pin from the bottom up in layers, making sure that each layer covers the top of the paper strips of the layer below. Keep building these layers up until you get to the very top of the cone. Repeat on the second tree. Note: If your layers aren’t looking right, or your pieces aren’t lining up right, no problem! Because there’s no glue involved, you can remove and reposition your paper pieces as much as you need until you achieve the look you want. Once your trees are filled and fluffy, grab your ribbon and make some bow, making sure to secure them with floral wire. If you do not want to make a bow, grab pre-made ones. With your bows at the ready, insert the floral wire into the top of the cone until the bottom of the bow is flush to the styrofoam. Repeat for the second tree. And that’s it! They’re ready to display! See? I told you they were super simple! 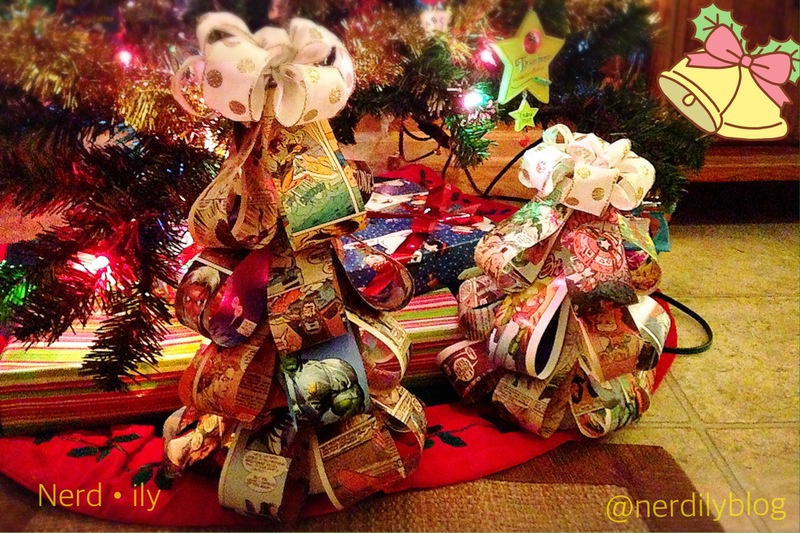 If you want the paper and bows to be more secure, then grab a glue gun to tack them down. You can also use spray adhesive and some glitter to give them a sparkly, snowy effect. Either way, make them yours! 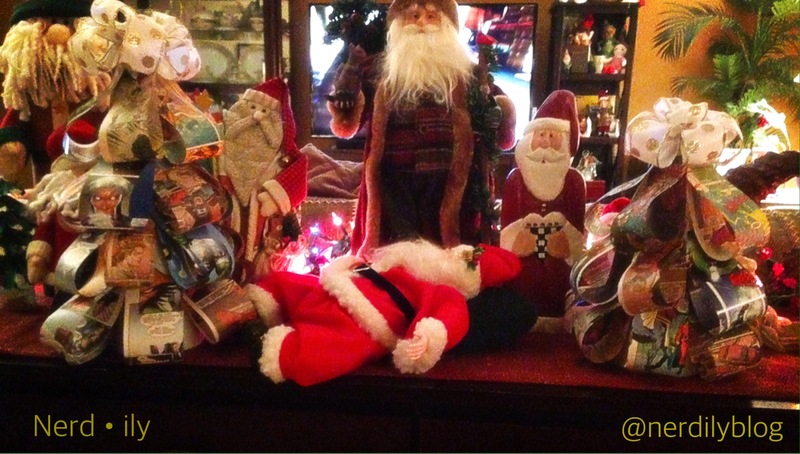 What’s been your #1 DIY for the holiday season? Will you be making a set of these for your home? Let me know down below so we can nerd out! Previous Post 12 Gifts of Nerdmas Giveaway! This looks so fun! 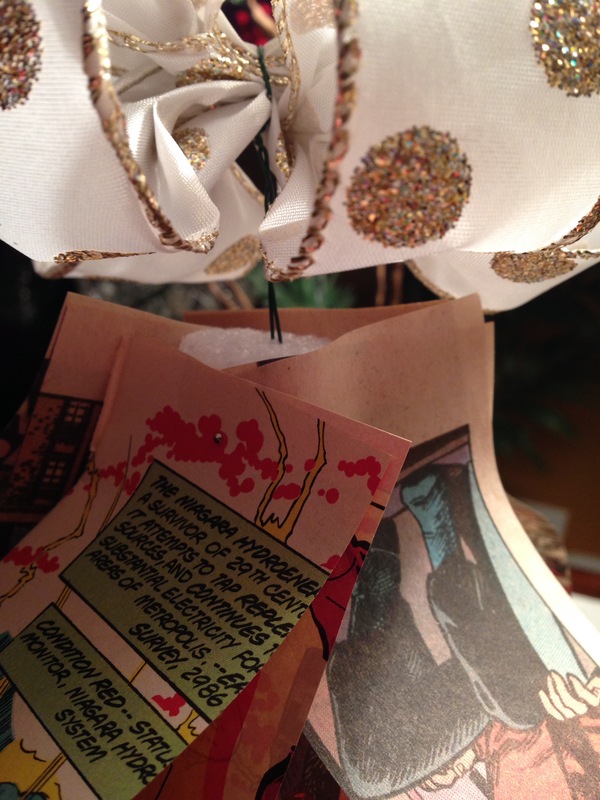 What a great way to use some old comic books that you have lying around. I’ll definitely have to give these a try. Make sure you share them! I want to see what you create! These are fantastic! I definitely want to make some for next year!